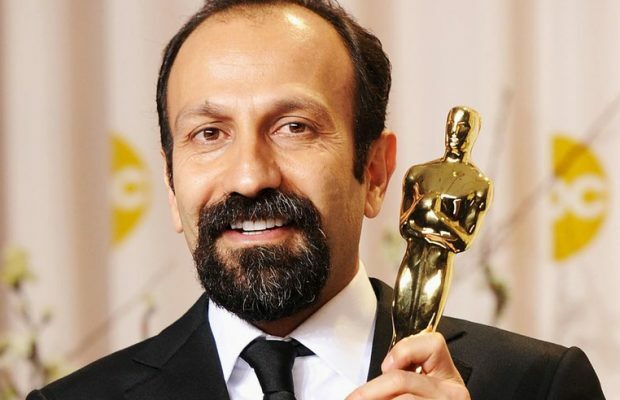 Iranian Director Asghar Farhadi won his second Oscar for Best Foreign Language Film Sunday at the 89th Academy Awards. 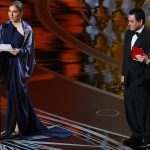 Farhadi won the Oscar for drama “The Salesman”, but said in a statement read on his behalf at the Academy Awards by Anousheh Ansari that he was not attending because of the disrespect the United States had shown seven majority Muslim countries who had been named in a travel ban earlier this month by the Trump administration. 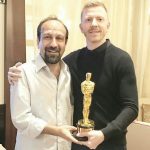 “It a great honor to be receiving this valuable award for the second time,” Farhadi said in his statement, and after thanking those who worked with him on the film, got down to brass tacks. 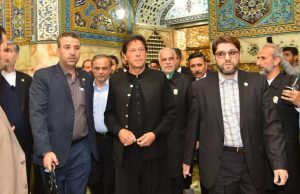 After pausing for the applause of those gathered, Ansari continued with Farhadi’s statement. 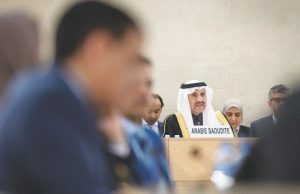 Farhadi’s film The Salesman was nominated in the Foreign Language category alongside Land of Mine (Denmark), Toni Erdmann (Germany), A Man Called Ove (Sweden) and Tanna (Australia). The film follows a high school teacher (Shahab Hosseini) who seeks revenge against the perpetrator who attacked his wife (Taraneh Alidoosti) in their apartment. The director made awards history in 2012 when his film A Separation became the first Iranian film to win an Oscar.